NEW ORLEANS – Louisiana National Guardsman Rodney B. Painting, of Loranger, was promoted to the rank of brigadier general during an official ceremony at Jackson Barracks in New Orleans, June 2. 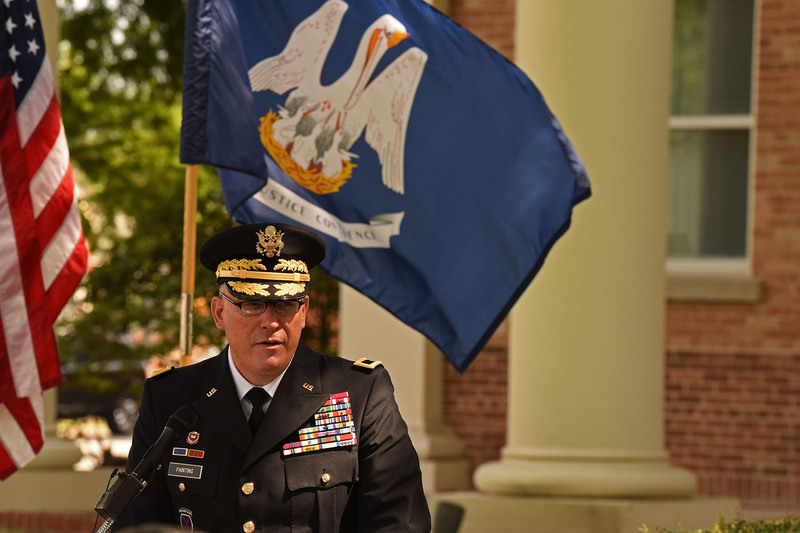 Painting will become the new assistant adjutant general and serve as the principal advisor to the adjutant general of the LANG. He will be responsible for assisting the adjutant general in the deployment and coordination of programs, policies and plans for the LANG. 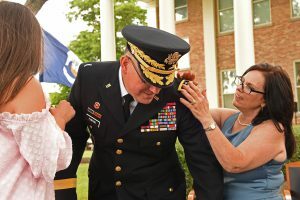 He enlisted in the LANG in 1985 after graduating from Loranger High School and commissioned as a second lieutenant in 1989 after graduating from Officer Candidate School. Over his 33-year career, Painting has held several key positions in the LANG. 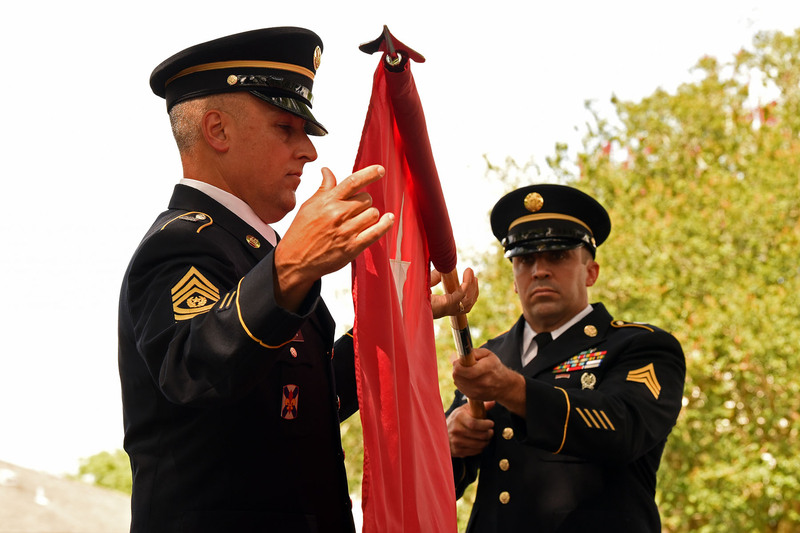 He served as the commander of the 205th Engineer Battalion for six years. 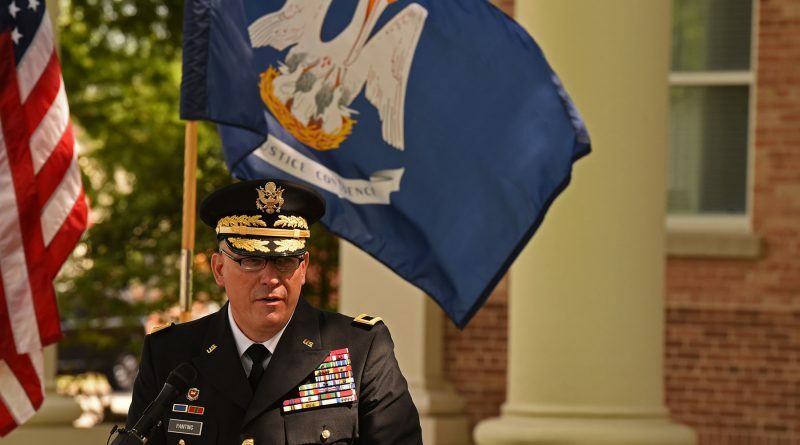 Under his command, the 205th cleaned up the entire Northshore region of Louisiana following Hurricane Katrina. Painting also served as the deputy commander of the 225th Engineer Brigade, commander of the 61st Troop Command and then commander of the 225th Engineer Brigade. Outside of the LANG, Painting served as director of capital improvements for New Orleans’ Recovery School District from 2010-2016. In this role, he managed school renovations, refurbishments and other capital outlay projects involving schools damaged by Hurricane Katrina. During his six years at the RSD, he helped implement the School Facility Master Plan’s $1.8 billion FEMA grant. Painting said he worked with a team of talented construction managers to create world class schools with state of the art learning environments. This effort, which is still ongoing, has touched over 100 facilities and provided over 10,000 new seats for students to date. “This construction was key in allowing displaced families return to the city and enroll their children in local schools, and a key factor in helping bring the population of New Orleans back up to pre-Katrina levels,” said Painting. In 2016, he was appointed as the LANG’s director of business and resource development, charged with increasing public private partnerships and creating additional self-generated revenue for the Soldiers and Airmen of the LANG. Painting deployed with the LANG multiple times. In 2003, he commanded a forward-deployed detachment that included multi-national forces to provide direct engineer support to forces in Kandahar, Afghanistan. This element was responsible for all engineer operations in Southern and Eastern Afghanistan, including the mountainous border with Pakistan, supporting nine forward operating bases. He has also deployed to Panama, Honduras, Belize, Norway and Germany. Painting graduated from Louisiana State University with a Bachelor of Science in Secondary Education and the U.S. Army War College with a Master of Strategic Studies. Medal with two Bronze Oak Leaf Clusters, Army Commendation Medal with one Bronze Oak Leaf Cluster, Army Achievement Medal, Army Reserve Components Achievement Medal with one Silver Oak Leaf Cluster & and three Bronze Oak Leaf Clusters, National Defense Service Medal with one Bronze Service Star, Global War on Terrorism Expeditionary Medal, Global War on Terrorism Service Medal, Armed Forces Service Medal, Humanitarian Service Medal with two Bronze Service Stars, Armed Forces Reserve Medal with Gold Hourglass and M Device, Army Service Ribbon, Army Reserve Component Overseas Training Ribbon with numeral five, Coast Guard Special Operations Service Ribbon, Louisiana Legion of Merit, Louisiana Cross of Merit with one Bronze Fleur de Lis and the Louisiana Cold War Victory Medal. Painting and his wife, Monica, have been married for 27 years and have three daughters: Thea, Brendyn and Kobi. They currently reside in Amite.